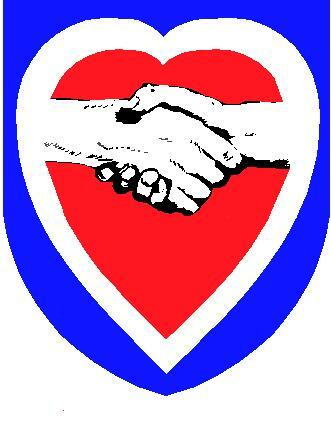 The Annual International Military And Civilian Combat Stress Conference is celebrating its 15-year anniversary from 4 May thru 10 May 2007 at the South Mesa Staff Club, Camp Pendleton, California (Best media days 5 May or 6 May). This combat stress conference is the longest running and one of the best of it�s kind in the world. Throughout the years, this conference has trained both military and civilian staff to provide services to military personnel experiencing various combat stress related problems, as well as problems experienced by civilian disaster workers and victims. Last year this conference was in jeopardy of being discontinued by its parent military organization, since they were short on both staff and funds. Because the conference is a critical training program, especially now, they asked the person who had the initial vision for the conference, retired founder, Dr./COL (Ret) Bart P. Billings to direct and continue to run the conference as a civilian. He asked other retired colleagues (Dr./COL (Ret) Wm. Marshall, LTC (Ret) Ken Robinson, Dr./BG (Ret) Richard Lynch) and the continuing educational company (Psycho-Legal Associates), he formerly hired for the conference, to participate or be advisors. All agreed to the challenge and now we celebrate a milestone; that is, 15 continuous years at the same location, Camp Pendleton California. By utilizing civilian resources to keep the conference operational, Dr Billings was able to help the military free up their funds and staff for other projects. The focus, as you can see from the attached brochure, is not only combat stress issues, but also other related issues such as family support etc. 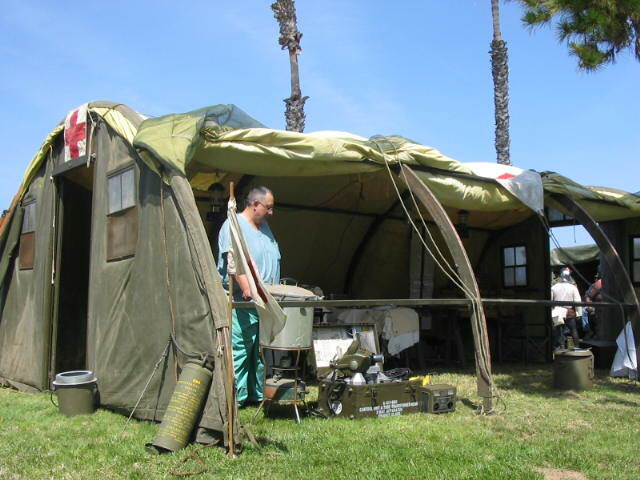 The Jan/Feb 2007 issue of the Psychotherapy Networker Journal, �Bringing The War Home�, cited a DOD study (March 2006) reporting that 35% of Iraq war veterans sought mental health treatment within a year of coming home. As you can see, now more than ever, there is a need for this conference to continue to train both civilian and military staff to address this present and continuing need. For more information feel free to email Dr. Billings at bbillings@omnisonic.com or call (760) 438-2788. Conference web site is http://tservcsc.bizhosting.com with registration Phone # being 800 547-2736. 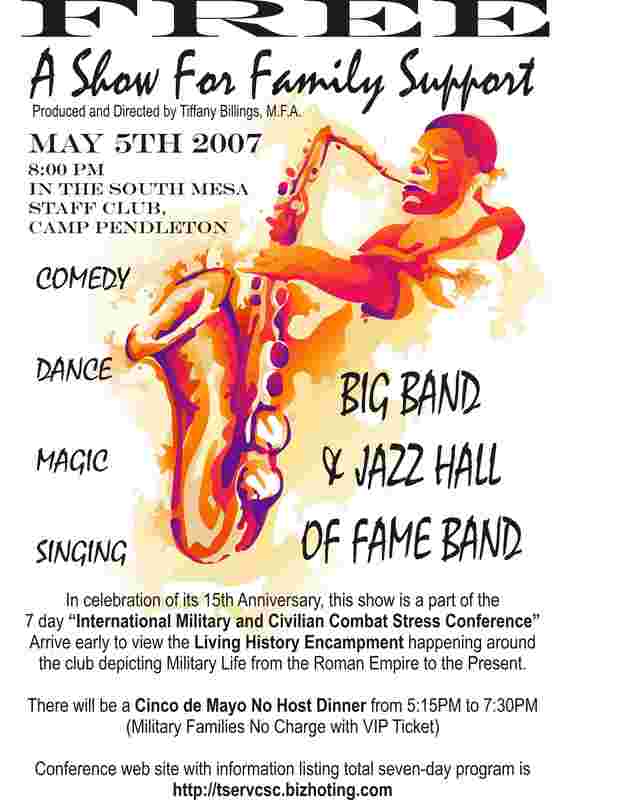 The Annual International Military And Civilian Combat Stress Conference is celebrating its 15-year anniversary this May 2007 at the South Mesa Staff Club, Camp Pendleton, California. Last year this conference was in jeopardy of being discontinued by its parent military organization, since they were short on both staff and funds. Because the conference was a critical training program, especially now, they asked the person who had the initial vision for the conference, retired founder, Dr./COL (Ret) Bart P. Billings to direct and continue to run the conference as a civilian. He asked other retired colleagues (Dr./COL (Ret) Wm. Marshall, LTC (Ret) Ken Robinson, Dr./BG (Ret) Richard Lynch) and the continuing educational company (Psycho-Legal Associates), he formerly hired for the conference, to participate or be advisors. All agreed to the challenge and now we celebrate a milestone; that is, 15 continuous years at the same location, Camp Pendleton California. The focus, as you can see from the attached brochure, is not only combat stress issues, but also other related issues such as family support etc. A recent professional medical journal estimated that 400,000 military personnel would be in need of mental health services by 2008. As you can see, now more than ever, there is a need for this conference to continue to train both civilian and military staff to address this present and continuing need. For more information feel free to email Dr. Billings at bbillings@omnisonic.com or call (760) 438-2788. We have been able to raise funds to provide free two-day admittance at the Saturday and Sunday Conference General sessions to over 100 (more if demand increases) VIP family members of deployed troops. Also a free Cinco de Mayo dinner (5:15 PM to 7:30 PM) for over 100 VIP family members will be provided and some of their servers will be the reenactors in their dress uniforms. 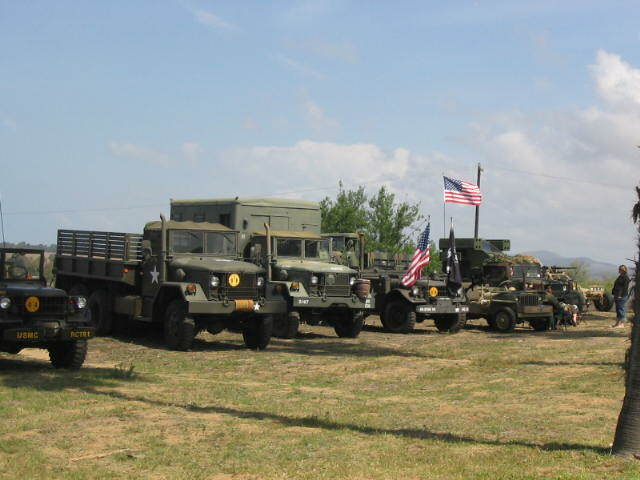 There will be a living history display as part of the International Combat Stress Conference (CSC) being held at the South Mesa Staff Club from 4 May thru 10 May 2007. 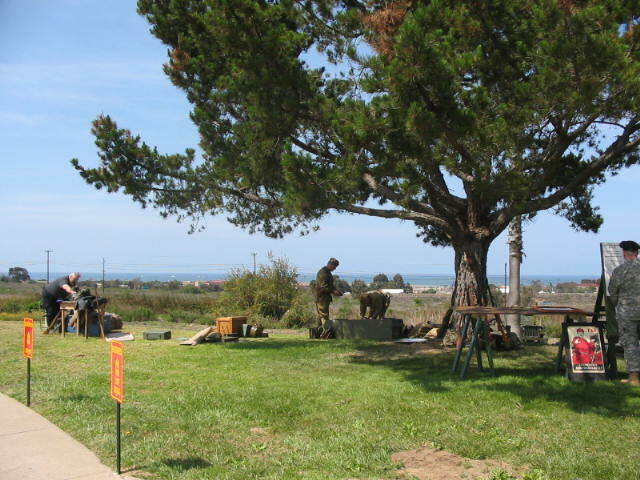 The CSC held at Camp Pendleton over the past 14 years is about to celebrate its 15th anniversary in May. This is the longest running and one of the best conferences of its kind in the world on the subject. A large part of this year�s conference will deal with family support issues. Therefore we are planning some programs that will focus on this aspect of the conference. Besides the formal classes, we are planning �A Show For Family Support� (Musical/Variety show) on 5 May at 8 PM, which will be free, and honor families of deployed Marines as VIP�s (Front row center seating). The ballroom will hold 1200 people. 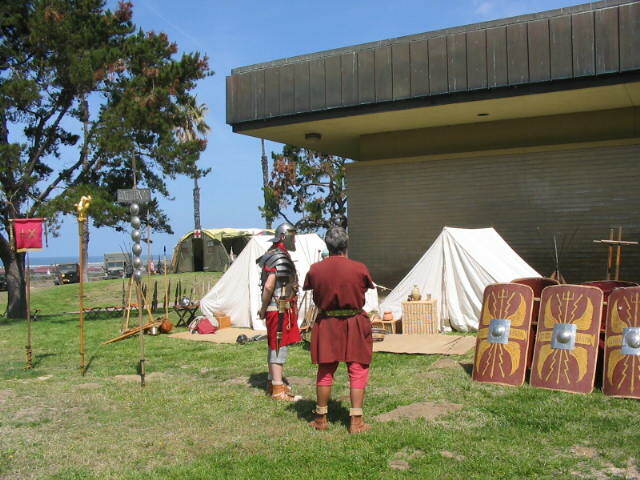 Also, we are planning on having Military Reenactors from the Roman Empire era thru the Viet Nam era camp around the Staff Officers Club. 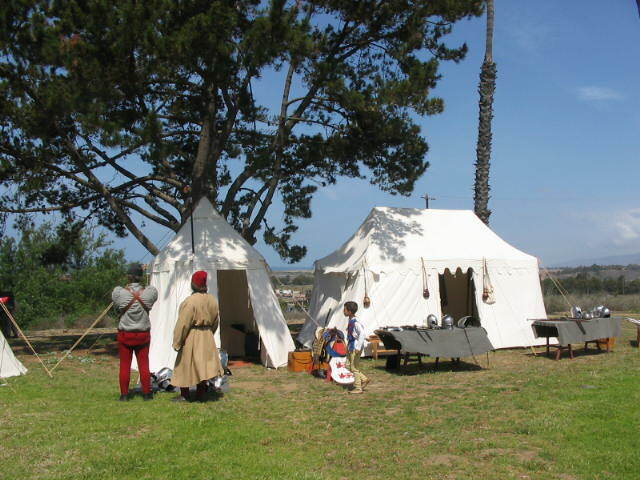 They will function as a Living History display and answer questions from conference attendees and visitors from the Camp Pendleton community on how the military, throughout history, handled combat stress and family support programs. This display will educate, not only conference attendees, but also military families, especially school age children. 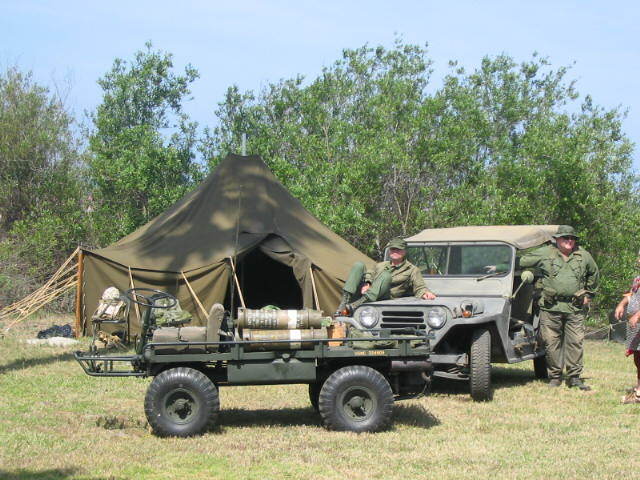 Roman Empire, WW II 4th Marines, Viet Nam Marines, WW II Russians, WWII Japanese, WW I & II Germans, Civil War, Indian War, Military Vehicle Club, Renaissance era soldiers, Revolutionary War-American and British etc. We will hopefully be able to provide baby-sitting services for all events if we receive further funding. Also we are presently requesting that MGM allow us to screen the movie �Home Of The Brave� on Sun. the 6th.